Jo-Wilfried Tsonga usually finds himself playing the role of crowd pleaser but yesterday he upset the home crowd when defeating Mardy Fish in an epic four hour duel. Fish’s exit means Andy Roddick is now the highest ranked American left in the men’s draw and the big-serving Texan can play the role of crowd pleaser today. In David Ferrer he faces the world number five and a man that beat him in front of a home crowd in a Davis Cup match earlier in the year. The two have met eight times in their careers and that win for Ferrer saw him edge a 5-3 lead, but Roddick will be keen to avenge that Davis Cup defeat and looks a solid bet at 6/4 to win. Both players have dropped just the one set in their opening three matches and look to be in a similar vein of form which suggests it should be a tighter betting market than it currently is and Roddick offers all the value. Of their four hard court matches, both players have managed two wins and twice has the match gone the distance. The American crowd can play a huge role in this match and while five sets looks unlikely considering Ferrer is the only man to have featured in one this year – he lost it to Gael Monfils – Roddick looks the pick at 9/2 to win 3-1. Isner, ranked just one place behind Roddick, defeated Roddick last week and of the two American’s should be the favoured one to progress today. 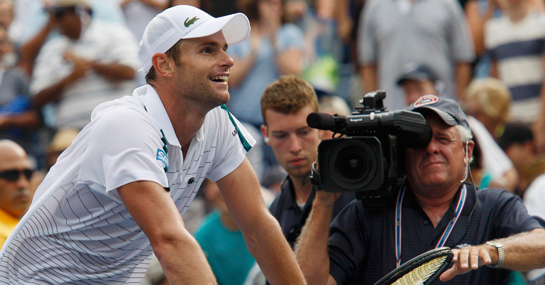 The betting can’t separate Roddick and Simon with both players available at 10/11 to win, but Isner proved in Winston Salem last week that his hard court form is in great shape and the unpredictable Simon will struggle today. Simon has already played 13 sets in three matches and with a few more expected today, his fitness will really be tested. The big serving American can take advantage of that and looks a decent bet at 7/2 to win 3-1.